There is a wedge that seems to have been driven into Christianity. My aim is to attempt to bridge it. Let’s face it, there are plenty of doctrinal issues that divide believers. Those questions are important to answer and are worth discussing. I make no buts about that. But they should not keep the gospel from going out. Arguments, especially public ones, turn God’s people against each other and show the world that there is no difference in our lives. These discussions can be with the firmest convictions and can include the best of intentions. But we have to watch how we go about it. At this point in my life, probably the majority of Christians I know have some major difference that I disagree with. (And I am talking true Christians, those that are born-again.) If you find this to be a problem, you are probably part of the problem I am speaking of. 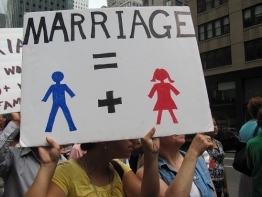 Homosexuality is one of the biggest issues in Christendom that is causing this division. Is it moral? How do we go about talking about it? What should our stance be? How do we combat it? All of these questions have an answer. There are no gray areas. There are two camps that are mistaken on this issue. 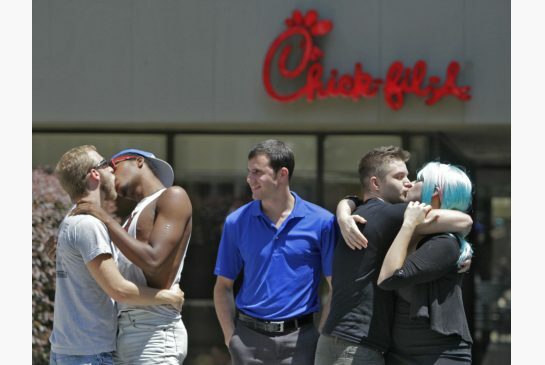 One side sees homosexuality as not only sin, but THE sin. There is no other sin that receives as much attention and criticism. The other side is focused so much on God’s love that they refuse to properly acknowledge it as sin. Homosexuality should receive extra attention because there is a major battle being fought over it in our society. If the liberals have an agenda to push it on us, the Church should have a plan to push back. On the laundry list of these problems, the latest is the Georgia governor vetoing a law to protect religious organizations from being forced to go against their beliefs and participate in gay weddings. Well, let’s look at what the game plan should not be. Our plan should not be to hurl insults. In my time in the pro-life movement, I have had more personal attacks than I could ever recall. There is a reason it is called an ad hominem “fallacy”. It is a weak argument. In fact, it really is not an argument at all. I consider it illegitimate. It only serves to make us look stupid. Personally insulting someone, even if their lifestyle is sinful, serves to only prevent the gospel from going out by making Christianity seem hateful, whether you are or are not. Our plan should not be to make excuses for the LGBTQ movement. Don’t defend something that shouldn’t be defended. If someone is living a sinful lifestyle, don’t excuse the sin. 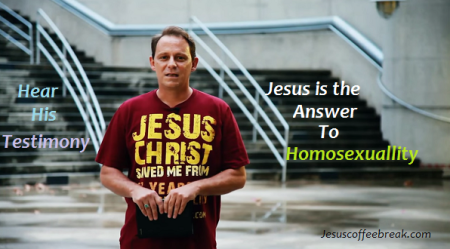 Homosexuality is sexual sin. We don’t look at an adulterer and back up their sin. We should not do this for homosexuality either. 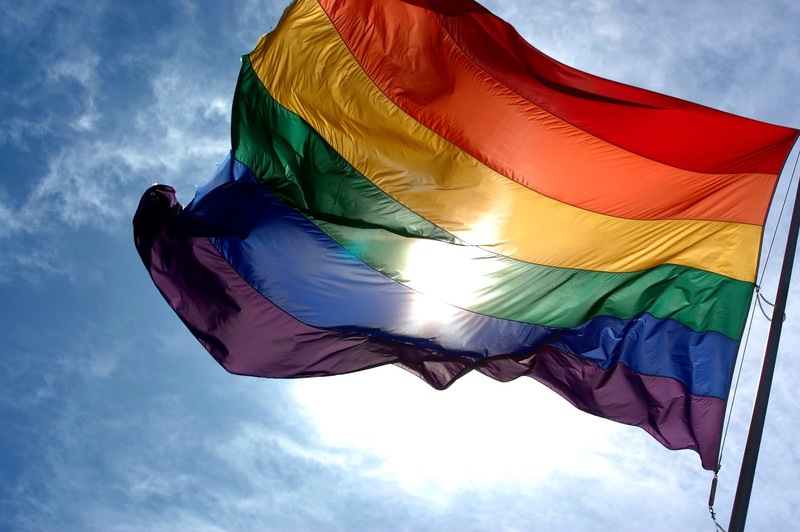 Our plan should not be to single out homosexuality. 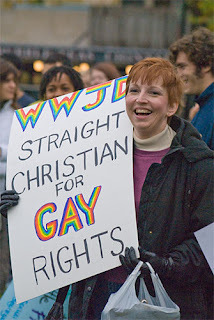 Unfortunately, Christian supporters of the LGBTQ movement have dirtied the phrase; nevertheless, it rings true: don’t attack someone because they sin differently than you. This does not mean we shouldn’t call out sin. But it does mean that we should be aware of how we treat it. Even unintentionally, we can target homosexuality and give the impression that it is worse than any other sexual sin. It is more public in our society, but it is not any worse than the lust that is pervasive in Christians by their very sin nature. God hates my lust for women as much as He would hate my lust for a man. Because it is sin. Please, for the love of all that is right in the world, do not think that I excuse homosexuality or transgenderism. I certainly do not. But it is easy to point out a sin that one does not struggle with. But the beam in my eye gives away my sin nature. Remember that we’ve all sinned against the Creator of this universe, so we all are under condemnation apart from Christ. If LGBTQ advocates are fighting for equality, they have equality with straight people in that they are under the wrath of God. As Christians, it is our duty, as Christ’s ambassadors, to love everyone and to push back against attempts to normalize sin. The duty to love everyone is to love them as Jesus does. He loves them because they are His creation and He pursues them because He wants to know them. We should love them in that we want a better life for them. The gospel is what brings a better life. Attempts to normalize the sin around us are hindrances to the gospel. If sin is normalized in society it will become harder for lost people to realize their sin. It’s a simple concept. Don’t let society get away with saying sin is okay. It’s not. It never has been and never will be. 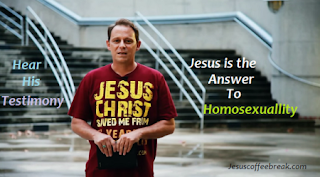 If the homosexual agenda is pushed and we as a society accept it, the plea to repent of sin such as homosexuality will no longer be religious zeal but instead will be construed as hate speech. We have already arrived here. Hence there is a vital grace/truth balance that must be maintained by Christians living in a society that is intolerant of those truly following the Bible’s teachings. Salvation involves the mercy of God but also includes the justice of God. The two are inseparable. If God is not just then He will not punish sin, and there will be no need for His mercy. Without His mercy, there is no salvation. God’s justice means that sin must be paid for (whether by us or by Christ). 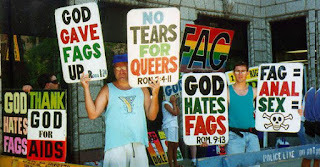 There is no doubt in scripture that homosexuality is sin (Genesis 1, Genesis 19, Matthew 19, Romans 1, I Corinthians 6). 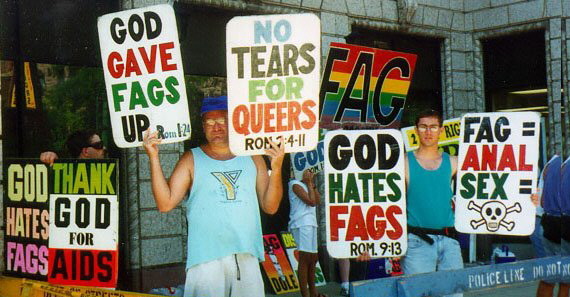 And God hates ALL sin. We ALL are sinners (Romans 3). Hence there is a problem. God’s justice means that we are destined for His judgment. If you think being “judged” by man is bad, try messing with God. Since God promises to punish sin (Isaiah 13, Proverbs 11:21), we have to be upfront about sin. Repentance is part of the gospel. Unless people know that they need to repent, they will never experience true salvation. The first step to being born again is knowing that one’s self is sinful, and that God will punish that sin. Since homosexuality is sin, we have to be willing to call it for what it is – but to do so in a loving way. Until LGBTQ individuals know that their lifestyle is wrong, they will never come to Christ because they will never see their need. If we treat them in a manner that brings shame to the name of Christ, however, they will not want the salvation that we have. Jesus is the perfect example of how to stay true to God’s Word but to do so in a loving manner. He never condoned the sin of the people that came to Him. He never stood behind them and rationalized their sinful lifestyles. But He did not turn them away. He dealt with plenty of people involved in sexual sin. The Holy Spirit brought them to a place where they recognized the sin in their life, so they came to Jesus. Jesus forgave them. He didn’t single them out or make a public example of them. Proof that being able to marry simply isn't enough. Everyone must fall in line and condone evil deeds. Expect greater persecution in the coming days. Those who live in darkness will hate the light. But if we live consistently in our Christian walk, there will be those that step into the light. God still heals the broken, whether the broken were raised in church or are transgendered. Don’t place a limit on the grace of God by using cruel words against the lost. But don’t cover up the sin, either. Love them, show them their sin, and present Jesus Christ as the remedy for their sin. It’s difficult, but I know someone that has walked this road before. He walked it all the way to Calvary, where He took the sin of the whole world on Him. Yes, He had my sin. He had your sin. He had Bruce Jenner’s sin. Jesus was punished for the sin of the whole world – which means ALL who come to Him will find forgiveness and peace with God. It’s now our responsibility to share that truth in love.